I was born and raised in northern Wisconsin and moved out to Colorado back in 1993 with husband and 3 daughters. I can't get enough of nature and with the long cold winters of Wisconsin, south central Colorado was a welcome change. We are outdoor people (360 days of sun). I love this planet I live on and try to tred harmonoiusly upon her. I knew from a very small child I came here with a special mission but it took most of my life to figure out what it was. I knew it included animals, namely horses and something with healing or helping others. I have been around horses since I was about 5 and have to admit that I would have checked out long ago if I didn't have them in my life. I started out just like any girl who just wanted a pony. But I have gone on to rescue and help heal many horses and some of the stories were inspiration for my books. 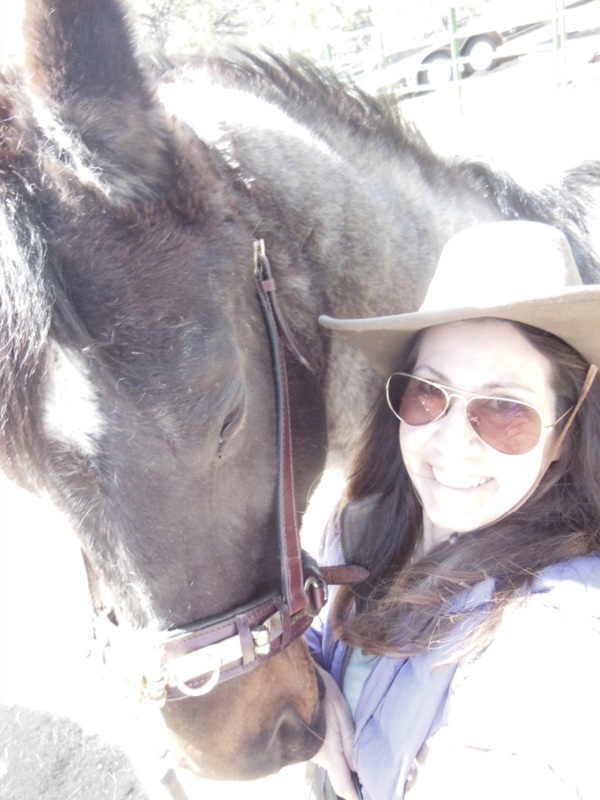 The horse was the catalyst to my own healing and I always wanted to give back to them somehow. I began that journey by taking all the required Reiki classes to become a Reiki Master. Then it went on to many other classes that dealt with Earth traditions, Wise Woman traditions, hearblism, theraputic art, crystal healing and on and on. But it was always the horse that stayed forefront in my endeavors. My poor husband had no clue what he signed up for when he relented and got caught up in my world. So today I am living above Salida, Colorado on 13 acres in a very private subdivision. The kids are all grown and gone and its just me, hubby, Frodo the poodle, Leo the Carin Terrier and my two medicine horses Ciara and Indigo. You can read Ciara's story in the link about my inspiration for my books. Indigo has just started his journey with me. I needed one more specail horse for my Equine Assisted therapy and the Universe provided. What a handsome guy he is. I have had to do some healing on him to get him ready to become a medicine horse and have fallen deeply in love with this gallant soul. He came to at the end of his career, but the new chapter in his life has just begun.